A certain little girl will be turning one next week! I can not tell you how fast this year has gone by. I swear just yesterday I was 9 months pregnant. No? Ok, maybe not. I have been working a bit on Little Miss’ first birthday party…and this is one of the sweet treats that is on the menu. 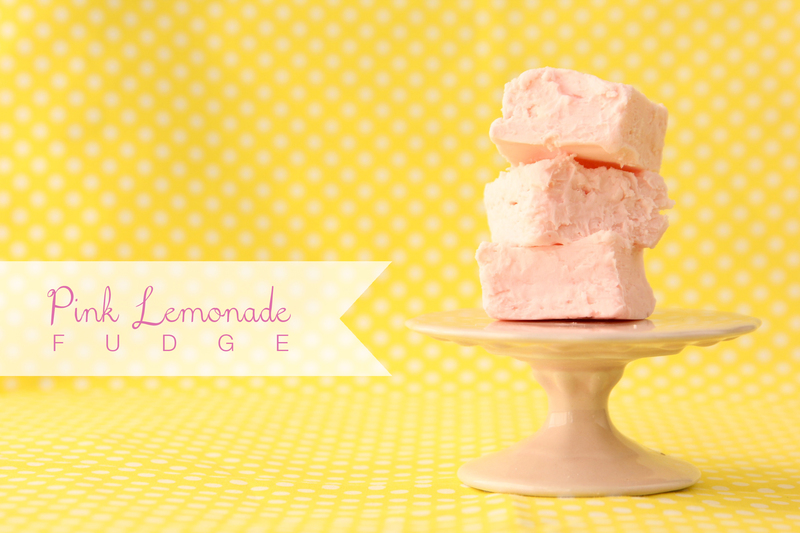 Pink Lemonade Fudge. Line an 8×8 pan with foil and grease with butter. Melt white chocolate chips over low heat in a double boiler. Once chips have melted, stir in frosting until smooth. Place in refrigerator for 30 minutes. Cut into squares and enjoy. Store left overs in an airtight container in the fridge. This entry was posted in Bite Size Goodness and tagged fudge, lemonade, pink. Bookmark the permalink.